The center of action in “20th Century Women” is a Victorian ramshackle house in Santa Barbara under a state of haphazard renovation, underlining the film’s era – 1979, to be exact, with the last vestiges of the hippie era uneasily co-mingling with the rise of punk and all of it about to be trampled by a sinisterly mistitled Morning in America. The home is something of a mini-commune, where 55 year old Dorothea (Annette Bening) lives with her teenage son Jamie (Lucas Jade Zumann), while also giving room and board to Abbie (Greta Gerwig), a crimson-haired punk rocker recovering from her cervical cancer and on the outs with her mother, and William (Billy Crudup), the handyman who is less a fixer of things than a quasi-hippie. And then there is Julie (Elle Fanning), Jamie’s friend, who may as well live there, considering how often she sneaks out of her own house to sleep with Jamie…well, not sleep with him, just sleep with him, because, well, it’s complicated. And while they are very much individuals, they simultaneously exist as one cacophonous entity, mixing and matching, venturing into one another’s rooms, sometimes when the other person isn’t there, trading records and books and talking through ideas and worries. At one point, Abbie lays a series of Polaroids before William, explaining that each photo is meant to approximate a kind of visual diary, a snapshot of items helping to summarize her existence. Writer/Director Mike Mills may as well take that as his mantra. “20th Century Women” feels like a snapshot, and in more ways than one. It feels like a snapshot of each individual character, as they all are allowed a brief flashback recapping his or her past, narrated by another character, and filmed . It feels like a snapshot of 1979, pitched at a precipice, emblemized in a sequence where everyone sits around to watch Jimmy Carter’s “Crisis of Confidence” speech. “He’s screwed,” says everyone. “I thought it was beautiful,” says Dorothea. If everyone else can’t help but envision what Carter’s words mean for the future, Dorothea can’t help but see it as what was a crying out for what has past and what is not coming back, a past she seems to cling to incessantly, underlined by her omnipresent Salem cigarettes, which she smokes because they are “healthier”, suggesting a time when, as Dorothea herself says, no one thought smoking was bad for you because smoking was simply a style. 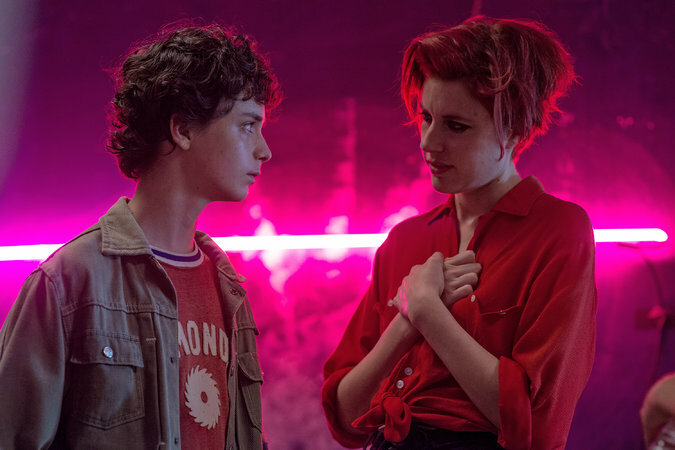 By focusing so intently on individual moments, “20th Century Women” lacks a conventional dramatic structure though that doesn’t mean the Robert McKee acolytes should necessarily be up in arms. After all, McKee rails just as adamantly about how every scene should turn for its characters, whether positively or negatively, and boy do these scenes turn. Take, for example, the scene in which Dorothea and Julie chat in the former’s car parked on the side of the road. The setting is no accident. Julie, dragged by her mother to therapy sessions, makes like a therapist, probing Dorothea who probes right back, as their conversation, painted in deliciously barbed dialogue (and underlined by the burrowing looks of each actress), becomes like a hair pinned race course of words, with each revelation doubling back to reveal more mystery, leaving them both more in tune to the other and more confused, which emblemizes the messy, inward conflict of the entire movie. If “20th Century Women” has something akin to a narrative hook, it is Dorothea, fearing that she is drifting too far from her son and her son’s world, enlisting the aid of Abbie and Julie to try and help Jamie’s ascent to Manhood. Yet in wanting her son to grow up, Dorothea must simultaneously grasp with losing the boy she knew, which becomes the film’s foremost conflict. That’s what comes home in Bening’s performance. While the ensemble is uniformly solid, all the actors orbit around Bening, both the fulcrum and the lever. Though her character is a technical drawer by trade, Bening gives Dorothea the air of an English teacher, one with great curiosity about what she doesn’t understand. Consider the way Bening has her character enter a punk club, where she has ordered Abbie to squire her, like it’s an anthropological study, wide-eyed with curiosity but also ill at ease, evoking how even if you try to grapple with the passage of time there comes a point when you realize you can’t. A mid-movie revelation, sprung in voiceover, does not change the stakes, per se, since there really aren’t traditional stakes, but crucially renders the rest of Bening’s performance elegiac. This sensation is underscored in how Mills repeatedly has his camera gently push in on the characters only to then gently pull back, whether it is conversations in the cramped kitchen or Jamie and Abbie dancing in an upstairs room. It’s as if the film is both honing in on the specifics of what makes its characters tick and losing focus on those characters, drifting away. It is precisely what makes this plentiful assortment of individual moments so powerful, like one near the end, in a hotel room, far from where they are from, far from wherever they may go, but content to find a tune on the radio and dance.